Recent research conducted by invoice financing company Marketinvoice has revealed that 48% of creative sector businesses were paid late during 2018, hindering revenue growth and ambitions of the small businesses within the sector. This level of late payments will be putting a significant strain on the individual cash flows of those companies that are having to accept delayed payment from debtors. It can be particularly frustrating when you have your own staff and overheads to pay, whilst sitting on a sales ledger of overdue sales invoices. Often companies operating within these sectors have to put up with long payment terms from customers, sometimes several months, which can lead to cash flow problems. 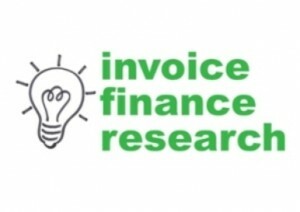 The invoice financing services of companies such as Marketinvoice, bridge that period between completing work, and getting paid by the customer. 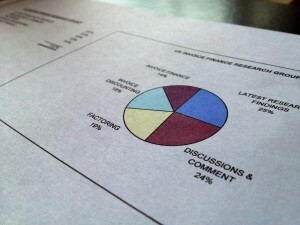 This can significantly improve the cash flow of creative agencies and consultancy companies. This is an example of a customer, in the creative sector, that we were able to assist with a one off cash flow injection from receivables financing. Improving your credit control procedures could be another way of ensuring that you are paid as quickly as possible, however, even with the most effective invoice collection procedures in place debtors may still delay paying you due to their own cash flow issues. Even if you are not having success handling the process yourself, there are agencies that will assist you with credit control support, using trained and experienced credit control staff. This can help improve your debt turn. 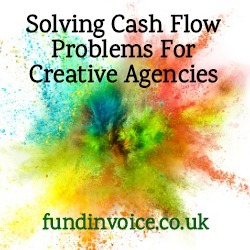 If you have slow paying customer, that you know is struggling with cash flow issues, you could recommend them to use an invoice finance service. In this way they may be able to pay you faster once they have the benefit of prepayments against their own sales invoices.